Watch Out for the Invasive Brown Marmorated Stink Bug, a Serious Invasive Pest of Field Crops, Fruits, and Vegetables. MOA attended the University of Missouri’s Organic Cropping Systems Field Day at the farm of Derek and Lyndsey Davis on August 4th. 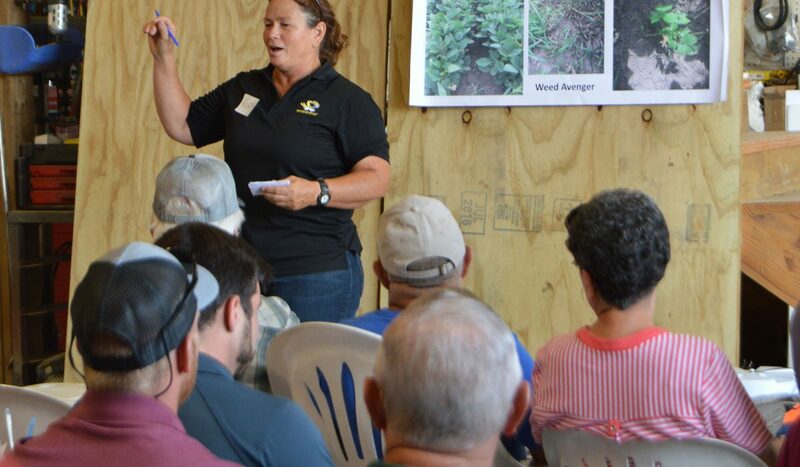 The university presented several researchers and two growers to give their on-hand experiences of no-till, cover-crop, and organic farming methods. We were represented by Dan Kuebler (President of the Board) Meghan Dixon (Treasurer), and Pat Oswald (Board Member). It was a great day of meeting organic farmers, educating, connecting, and discussing the realm of organic farming! Many new contacts were made and we were excited to get the MOA mission out to newcomers. We look forward to the upcoming events and the annual conference in January to greet you! !